"Sempai noticed me! Sempai noticed me!" That was exactly how I felt when I received this wondrous nomination for the Liebster Award. I had honestly thought that it would take me at least another year for someone to nominate me for the Liebster Award (self-depreciating much?). I didn't think I was at that level yet, so to be nominated for this almost a year after I started this blog, I'm pretty chuffed. Thank you so much, Chels Lauren, for this nomination, I truly appreciate it from the depths of my heart! It made my day then and continues to bring a smile to my face every time I think about this nomination. It's the little things in life, I always say. 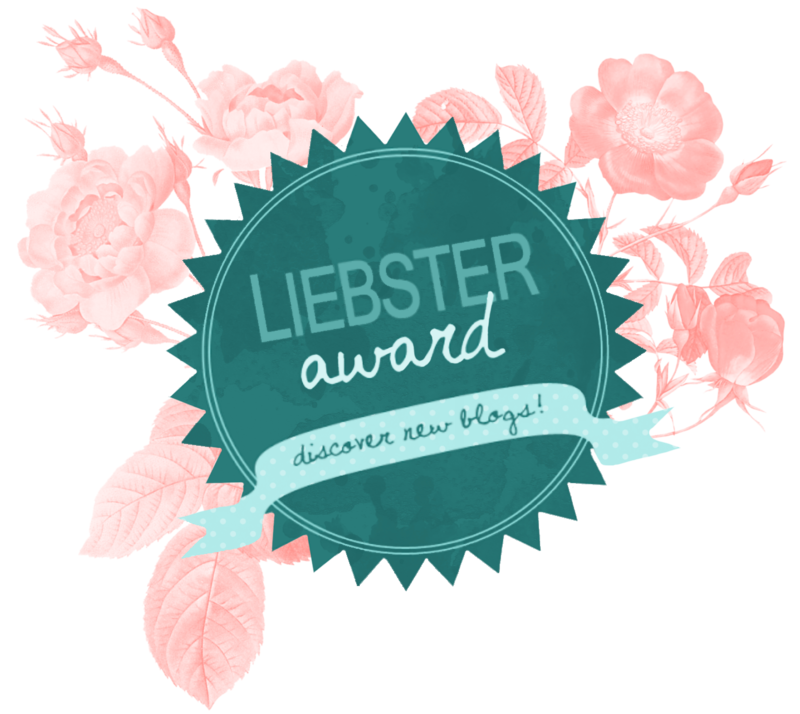 The Liebster Award, in summary, is a way for bloggers to promote fellow up-and-coming bloggers, to reward their efforts and accomplishments in becoming a blogger. With this award, the nominee has the choice to answer 11 questions of the nominator's choosing, which lets your readers learn a bit more about you, and you nominate five other bloggers for the award and provide them with questions of your own choosing. When nominated, you don't have to accept the award and answer the questions, but I hope you do because it really does help yours and everyone else's blogs. On with the questions that Chels has given me! 1. What is your drink of choice? A bit boring, but I really love tea. I have it with milk and three and a half spoons of sugar (horrible I know) a couple of times a day. I know I use a lot of sugar in my tea, but considering how I don't really like sweet foods and drinks and barely eat sugary treats, I figure it's okay. That's what happens when you've worked as a pastry chef and cake decorator, you start hating the food you make. 2. What motivated you to start blogging? This time last year I was in a difficult place. I was antsy, bored, and feeling quite demotivated and unhappy about the lack of a job. I was going from craft project to craft project with no satisfaction, so my partner suggested that I start up a blog as a way to distract myself, to something to commit to and use the creative juices that were burning a hole in my pocket (I have a craft supply hoard), and if it could make me some money in the long run, then cool. It hasn't but that's not why I'm blogging. I'm blogging because I really like it. 3. What is my favourite blog post so far? I'm assuming this means from my own blog, so I think I'm going to say the post in which I came out as being a deaf blogger. It was hard for me to admit to other bloggers that I was deaf, because I've faced discrimination based on my hearing all my life, and still experience it while I'm looking for a job. I wanted my readers to see me first as a person with feelings, with intelligence, with skills and everything else, not as a deaf person, so I kept putting off this announcement. Well, until Niles DiMarco won Dancing With The Stars and proved that deaf people could do anything. Go Niles!! 4. If you could go anywhere in the World, where would it be and why? If you asked me this question about 7 years ago, I would have said Japan without a second thought. But now that I've been there twice, I think it would be a little bit redundant if I said it again. So, now even though there are tentative plans on the table to visit the US next year, I would really love to visit Switzerland. The main reason for this is cheese. All the cheese in the world, get in my belly stat! 5. What is your go-to beauty essential? 6. What is your sweet/chocolate of choice? 7. What is your favourite season of the year? Late Winter/Spring. I know, "late Winter" isn't a separate season, but because of global warming the seasons here are out of sync. So for me, Spring really starts when the trees start blossoming and coating the streets in white and pink petals. That, in a nutshell, is exactly why I love Spring. I also like the gentle cool breeze paired alongside the warm sunlight that makes everything bright and dandy. Lasagne! I go nuts for lasagne and if I can, I'll even eat it three times a day; breakfast, lunch and dinner. Bonus points if there are lashings of bechamel sauce over the top and crispy pasta around the corners. Sean made me lasagne for my birthday last year and I had a whole tray to myself for two days. Best. Birthday. Ever! 9. Why did you start blogging? I feel like I answered this question before, but I think I will go about it a different way this time around. Initially, I started blogging because I wanted to show everyone that vegetarians and vegans are not all preachy and pushy about our way of living, and I also wanted to provide ideas on affordable options when it came to cruelty-free products. This blog was actually named The Thrifty Vegetarian, but after a while I felt like it was way too narrow, and the niche was driving me crazy because it limited my ideas. A few months ago I did a revamp and that is how Stephii Mattea came to be. Sure, it's still about cruelty-free living and beauty, but it's not as inflexible as it used to be, and I'm really happy with how it came out. 10. Dog or cat, and why? I actually love both, and I also love other animals just as much. However, I only have cats at the moment, because the rational part of me says that it wouldn't be fair to have a dog and not be able to give it the attention and love it needs at this point in life. I live in a rental at the moment, and I'm desperately looking for work, so I wouldn't have a lot of time for a pup. Cats are a different story as they're so independent and don't require more than food and a warm place to sleep in. Sure, Phoebe is an attention-seeker, but even she likes her solitude. Once we buy our house and start sprouting kids, I'm definitely getting a dog. I used to grow up in a small country town, and I really loved it for it was nice and cosy. Everyone was supportive of each other and it was comfortable. Since we moved, that town, in particular, grew in size, as have many other towns. I really want to live on a small farm so that I can raise my own animals, but at the same time I don't want to be too far away from civilisation. Mum already chews my head off because I live at least 40 minutes away from her but deep down inside, I know I'll live somewhere on the outskirts where I can have my farm yet be close to family. There are a lot of variations for the rule of who you can choose as your nominees for the Liebster Award, but as I couldn't decide which rule I wanted to go with, I decided to go with the up-and-coming blogs that deserve the recognition. I really love reading the following blogs, and I hope you do too! For my nominees, here are your questions! 2. If you were stranded on an island and could only take one item with you, what would it be? 3. Everyone has different reasons why they wear makeup. What's yours? 5. Do you have a celebrity role model? If so, why are they your role model? 7. What are your must-haves when you leave the house? 8. Who is your favourite author, and why? 9. If you could afford it, would you buy Louboutin heels? 10.What food could you live off of for the rest of your life? 11. Coffee, tea or hot chocolate?